The federal minister responsible for organized crime reduction met with concerned Surrey, B.C., residents on Thursday, amid mounting criticism from anti-gang activists. The federal minister responsible for organized crime reduction met with concerned Surrey, B.C., residents on Thursday, amid mounting criticism from local anti-gang activists. 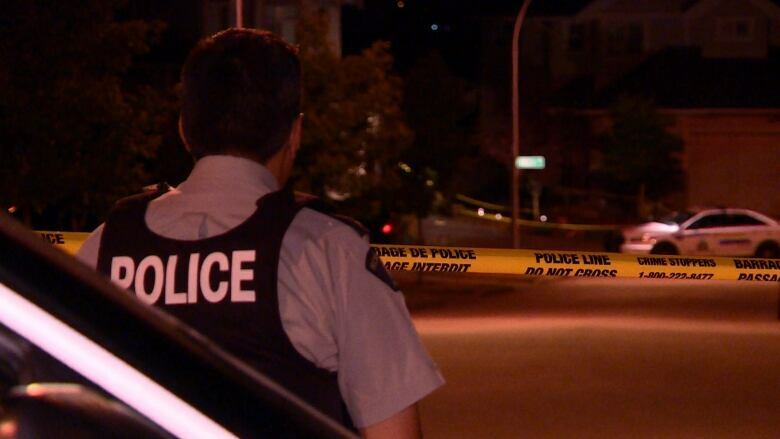 This year has seen numerous shootings in Surrey, including separate cases that claimed the lives of two teenage boys and another that killed father Paul Bennett. Rallies have been held over the year by anti-violence groups like Wake Up Surrey — one of the organizations Minister Bill Blair met with — and the city has set up a task force to tackle the issue. "I think everyone is concerned about the level of violence and gang activity in Surrey," said Blair. Wake Up Surrey spokesperson Sukhi Sandhu says not enough is being done by the federal government to address the violence, and that his organization is weary of federal platitudes. "Over the last 24 years, we've had over 200 youth of our community killed in this senseless gang violence," said Sandhu. "We have nothing personal against any politician, but if gun violence is a priority of any government, let's be consistent." Sandhu said federal officials — such as Science Minister Navdeep Bains, National Defence Minister Harjit Sajjan and Prime Minister Justin Trudeau — didn't speak about the issue enough during their recent visits to B.C. Surrey is not alone in dealing with gun violence. Toronto has seen its share of deadly shootings recently and the city's council wants to see a ban on handguns. Montreal Mayor Valérie Plante is also calling for a nationwide ban on the weapons. But Blair also stressed the importance of early intervention among youth, a sentiment echoed by Surrey's school and law enforcement officials, he said. "We need to work with young people ... to help young people make better choices. Reducing the demand for these guns is just as important as reducing their supply," said Blair. Blair said there was "no simple solution" to the problem, but his ministry is committed to working with all levels of government to solve it. Sandu says his organization wants to see Ottawa take real action. "We don't want any bandaid solutions. We don't want any photo ops. We want each level of government to take some ownership, some accountability."